Hello everyone! Heather here with another birthday card for the action wobbles blog. September is a crazy month around here. We have 8 birthdays in my family this month! My mom's birthday was yesterday and I wanted to make her a special card. 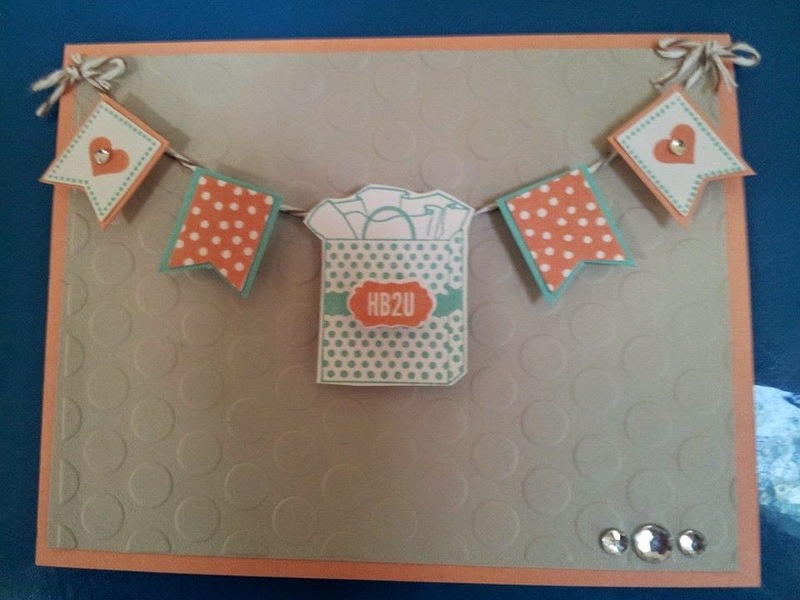 I create another banner card using stamps from Stampin Up! She loved the card as much as I enjoyed making it. I plan to make more just like this one to keep around for future birthdays. BTW, the birthday bag is on the Action Wobble!